There are currently no job openings at NAMMA. With our current Executive Director and Chaplain retiring in the Spring of 2019, The Maritime Bethel at Savannah (MBS) is seeking to appoint a new Executive Director and Chaplain in April 2019. The Maritime Bethel at Savannah is a faith-based, ecumenical 501(c)(3) non-profit ministry serving the thousands of international and American seafarers arriving in the Port of Savannah each year. 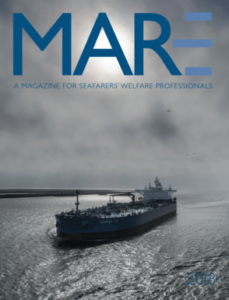 Supported by a team of dedicated volunteers, the MBS runs a hospitality center for seafarers in Garden City and a fleet of vans for a ship-visiting program to ships throughout the Port of Savannah. Click here for full job announcement with position description and requirements.